A resident searches for items among the ruins of a villa after the area was hit by a tsunami, at Carita beach in Padeglang, Banten province, Indonesia. 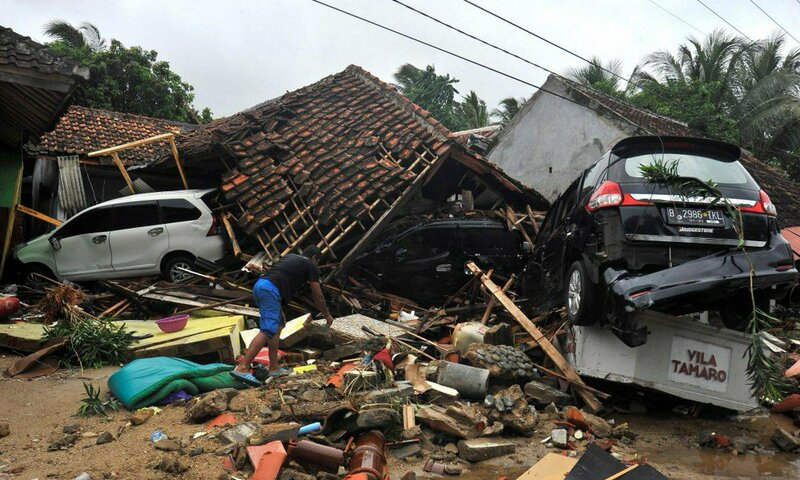 A tsunami killed at least 430 people and injured hundreds on the Indonesian islands of Java and Sumatra following an underwater landslide believed caused by the erupting Anak Krakatau volcano, officials and media said on Sunday. 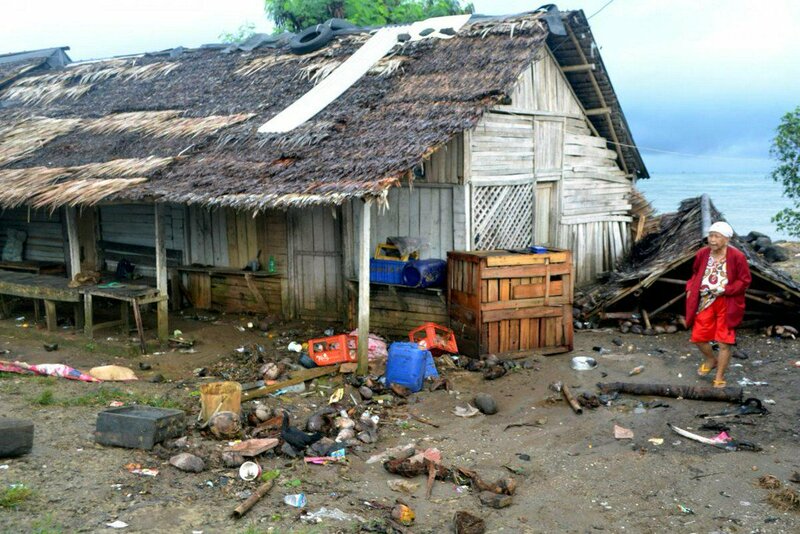 Hundreds of homes and other buildings were heavily damaged when the tsunami struck along the rim of the Sunda Strait late on Saturday, Sutopo Purwo Nugroho, spokesman for the disaster mitigation agency, said. Thousands of residents were forced to evacuate to higher ground. The disaster agency put the death toll to 430, with 1,400 injured and 154 missing. On December 26 in 2004, an Indian Ocean tsunami triggered by an earthquake killed 226,000 people in 13 countries, including more than 120,000 in Indonesia. President Joko Widodo, who is running for re-election in April, said on Twitter that he had ordered all relevant government agencies to immediately take emergency response steps, find victims and care for the injured. Vice President Jusuf Kalla told a news conference the death toll would likely increase. A local walks near her damaged house hit by tsunami at Tanjung Lesung district in Pandeglang, Banten province, Indonesia. 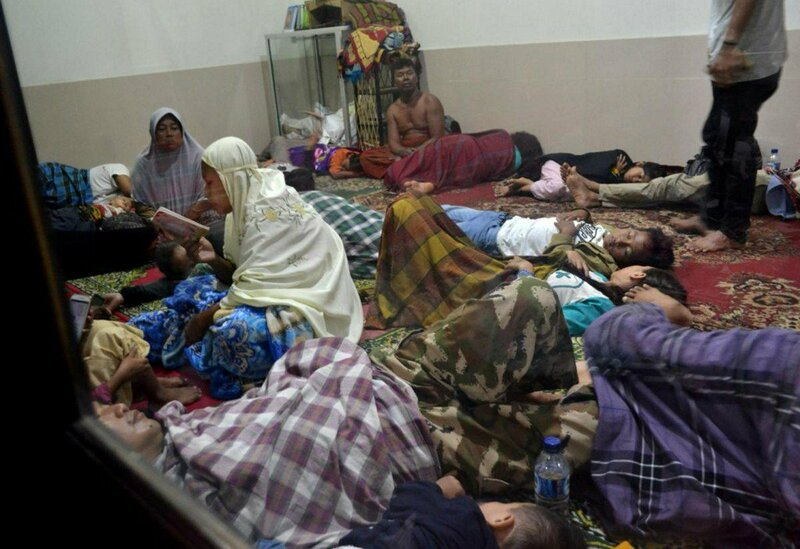 Residents sit inside a mosque as they are evacuated following high waves and the eruption of Anak Krakatau volcano at Labuan district in Pandeglang regency, Banten province, Indonesia. Around 250 employees of the state utility company PLN had gathered in Tanjung Lesung for an end-of-year event, company spokesman I Made Suprateka said. At least seven people were killed, and around 89 are missing, he said. Coastal residents reported not seeing or feeling any warning signs, like receding water or an earthquake, before waves of up to two meters washed ashore, according to media. The tsunami was caused by an undersea landslide resulting from volcanic activity on Anak Krakatau and was exacerbated by abnormally high tide because of the full moon, Nugroho said. Ben van der Pluijm, an earthquake geologist and a professor in the University of Michigan, said the tsunami may have been caused by a partial collapse of Anak Krakatau.